This time of year, it is so fun to find a way to spend time outside! 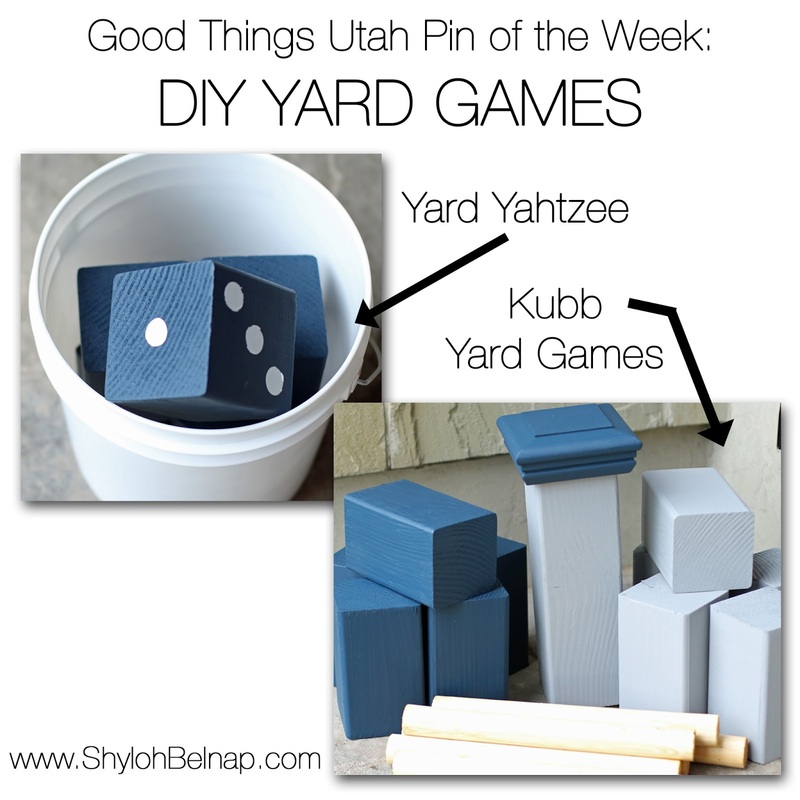 These 2 DIY yard game pins are fun and EASY to make! For both pins, I bought an 8 foot 4x4 beam and had Home Depot cut it for me! 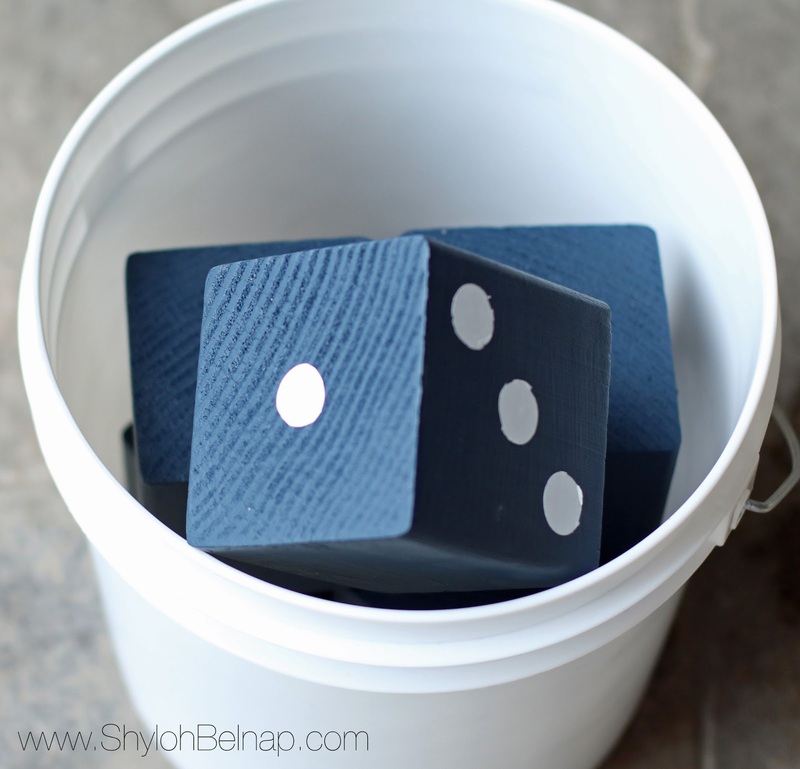 Outdoor Stain… I bought Behr Weatherproofing stain samples from Home Depot for $3! 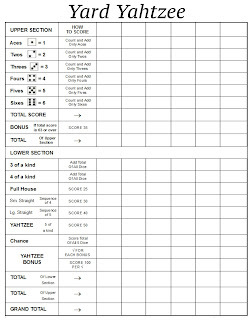 Sand each block. I used a power sander but you could probably get away with using regular sand paper. Use the white paint to sponge “stamp” the circles on each die. You can write on the frame like a white board! The best part of this pin is that it is such a great cost. 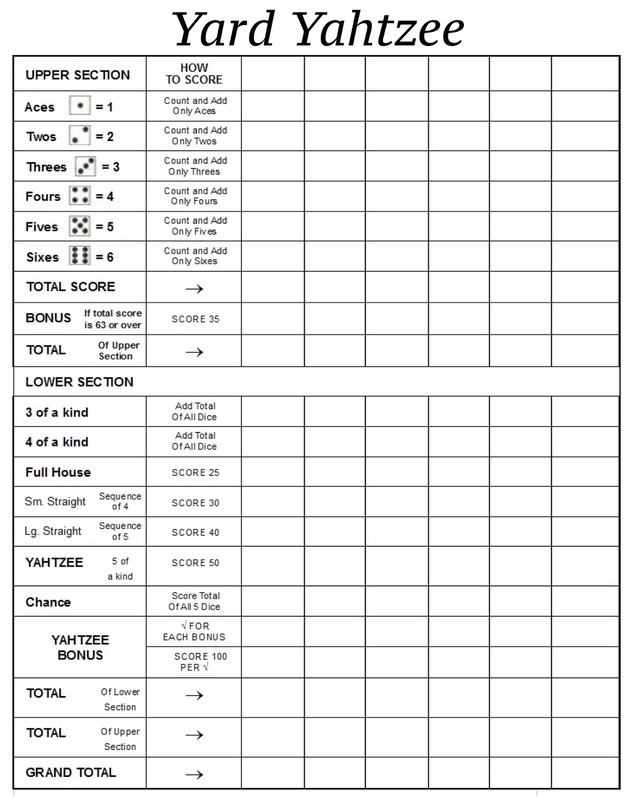 Yard Yahtzee games cost around $50 and I was able to make this for about $10. (2) different colors of Outdoor Stain. 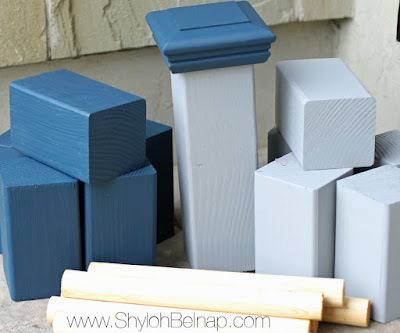 Paint (5) of each 6” post a different color of outdoor stain. Decorate your King post as desired. To play, you can check out their official website HERE.